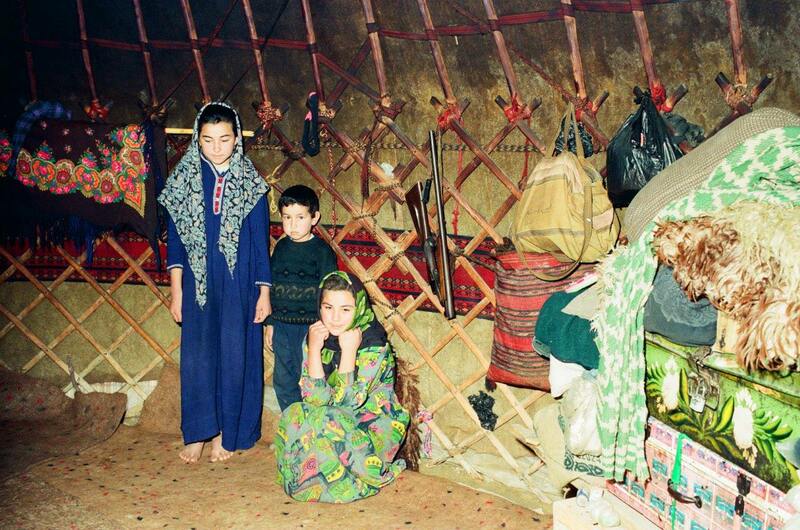 The majority of Turkoman tribes reside in Turkmenistan. The remaining live in Uzbekistan, Afghanistan and the province of Khorassan famous for the tribal rugs, which is in northeastern Iran. Turkomans descended from the Oghuz tribe over two thousand years ago. The major weaving Turkoman tribes are Salor, Saryk, Tekke, Yomut, Arabachi, Chodor and Ersari, many of which have sub-tribes. The dominant motif used in Turkoman weaving is a unique octagonal form known as gul. Gul is the Persian name for a flower. However, some rug scholars argue that the Turkoman gul has originated from an ancient Turkish word meaning family or tribe. Historically each tribe had its own version of gul by which the tribe was identified. The symbolic gul was used on the important weavings such as floor coverings by each tribe. Women’s jewelry also used the same tribal symbol. During the battle, when one tribe defeated another, the conqueror would take ownership of the defeated tribe’s gul and use it in its less significant weavings such as bags and other small items. Turkoman women were generally responsible for child rearing, the care of the flocks, and weaving. The Turkoman weaving consisted of storage bags, floor coverings, saddle covers, ensis (rugs used to cover the tent entrances), prayer rugs and all other items necessary for a nomadic or semi-nomadic life. The value and importance of women greatly depended on their ability to weave to the extent that brides and their female family members would make a complete set of woven items consisting of the items mentioned above as dowry to show the bride’s skillfulness. Men, on the other hand, were responsible for ensuring the safety of their tribe against other Turkoman tribes and adding strength to their tribe by subjugating other tribes. They were aggressive fighters searching for better land. Women were a valuable source of income because of their weaving ability; therefore, they were often taken from their tribe by the conquering tribe during battle. Tribes’ power depended upon the number of horses they owned. Their wealth, however, depended on the number of sheep because they supplied the wool, milk, and meat. Camel and goat hair was less frequently used as raw material for weaving. The early nomadic Turkoman traditions did not survive the constant battles between the tribes and the growing power of central governments. By the late 1800s, domestic weaving of the tribes in Turkmenistan and Uzbekistan became more commercialized as they fell under the control of Russians. After the formation of the Soviet Union, many Turkoman nomads in Turkmenistan were forced to settle and change their nomadic way of life during the 1920s.